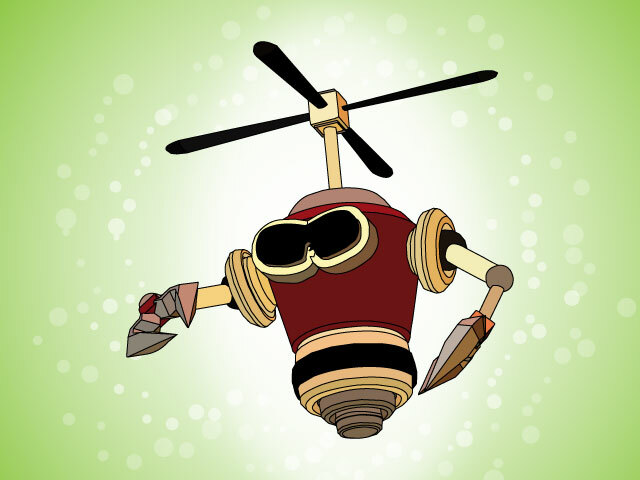 This cool and fun hand drawn cartoon is a little robot with a helicopter propeller coming from his head. Use this fun character for your kid friendly projects or add him to one of your original cartoons. Tags: Cartoon, Comic, Flying, Helicopter, Hover, Imagination, Robot, Rotor.